Looking for a cookie recipe perfect for summer? 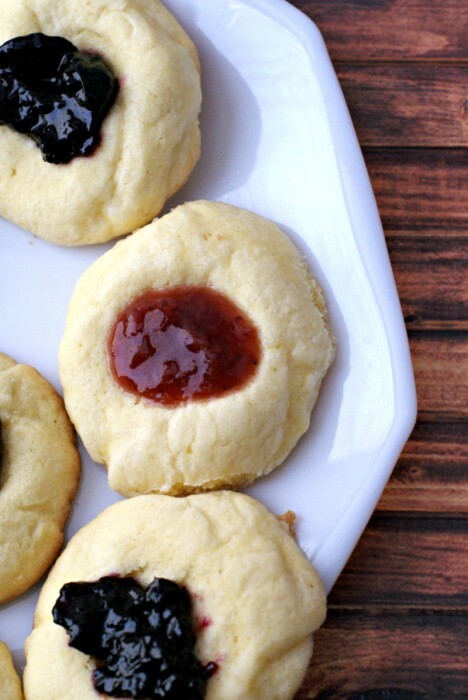 Check out these jam filled thumbprint cookies! I love the flavors of Summer like blueberries, strawberries, peaches and more. One of my favorite things to do is make homemade jam with some of the fresh fruits we get from the farmer’s markets. We put that jam on everything from waffles to cookies! 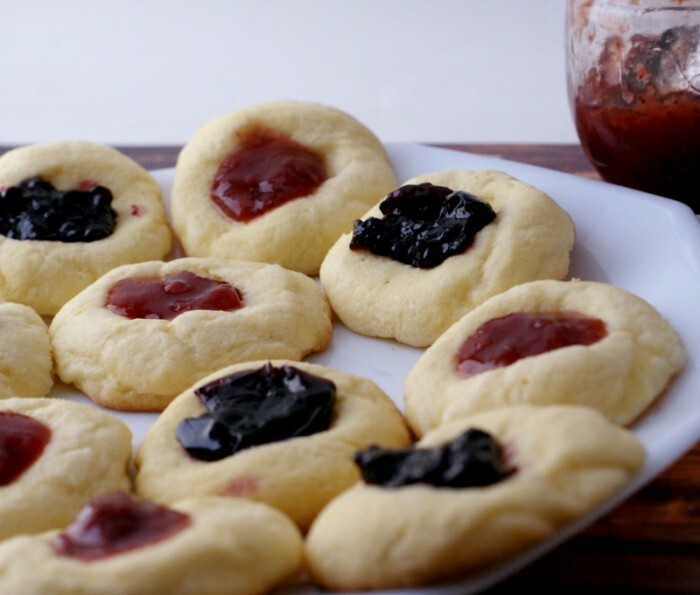 I remember loving jam thumbprint cookies when I was younger but hadn’t made them much in my adult life. Cream together eggs, sugar and butter. Add flour and baking powder finishing with the vanilla. Form into balls, optional: coat in sugar. 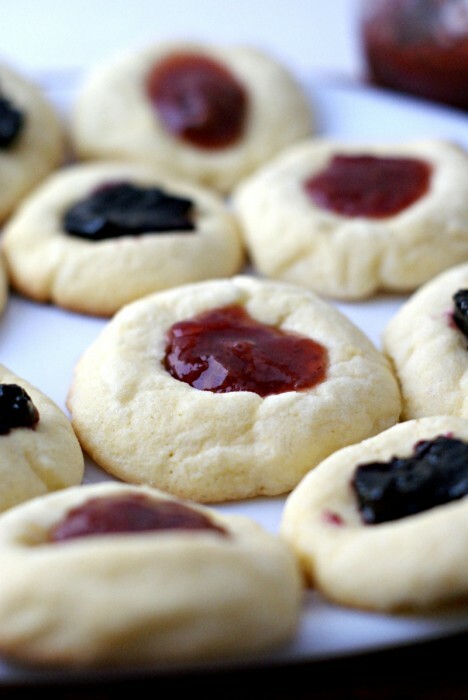 Place on cookie sheet and place a thumbprint for the jam. Cook for approximately 11-12 minutes on 375 degrees. Fill the thumb holes with jam, refrigerate until ready to enjoy. We brought these to a BBQ recently and they were perfect! They would be great for any Summer event! 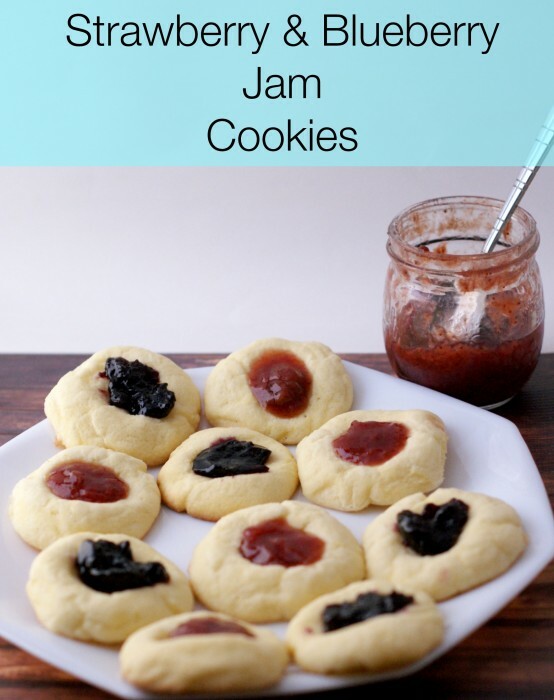 The best thing about thumbprint cookies is you can put any type of jam in them! Next I’ll have to try them filled with my peach jam! What are some of your favorite cookies?